Herbal Medicine: Naturally cleanse, strengthen, and restore your body through herbalism. 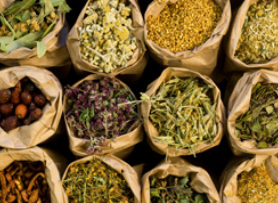 Whether it is through the deep history and extensive use of Traditional Chinese Medical and Ayurvedic Herbalism or North American Organic Herbalism, true health can be improved and restored through herbs, the worlds oldest medicine. Similar to acupuncture, Chinese herbal medicine focuses on correcting imbalances and restoring harmony in the body to achieve health. Rather than treating a particular disease, herbs are used to treat disharmonies existing in the individual. Once the imbalance is corrected, healing can take place. The use of Chinese herbs is very popular in Asian countries and is now becoming more and more commonplace in North America. Many modern day western drugs have been developed from Chinese herbs. The use of Ma Huang (Chinese Ephedra) has been used in treatment of asthma and hay fever. Hepatitis has been treated using Wu Wei Zi (Schizandra Fruit) and Gan Cao (Licorice Root) to name a few. Other Chinese herbs such as goji berries, ginseng, gingko, and reishi mushrooms, have only recently become very popular in the west, These healing herbs and many others have been used by the Chinese for hundreds and thousands of years. 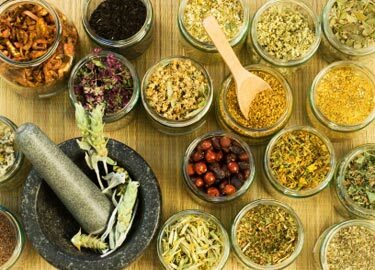 Currently, modern research into various traditional herbal medicines is providing confirmation of the herbs traditional uses.